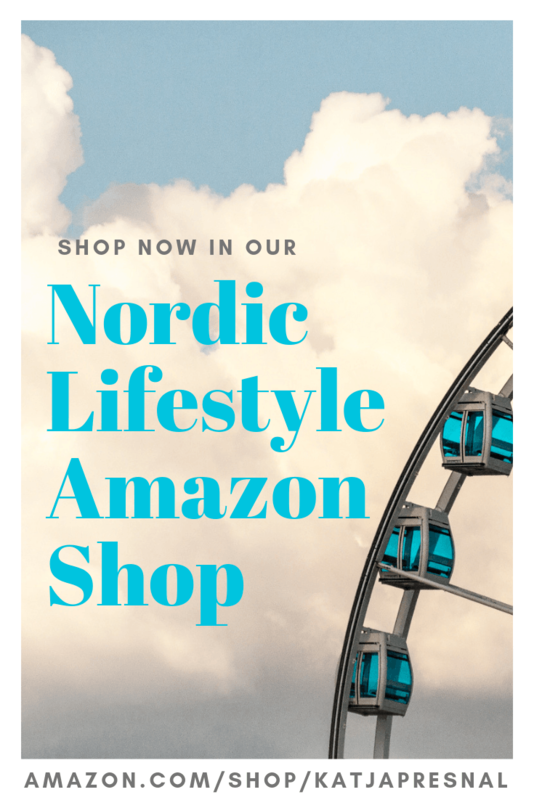 I am currently working on my “Road Trip through Nordic Countries” notemap on Findery, and you can read also my post “Road trip tips for Denmark and Southern Sweden” on Huffington Post. I am finally going through the massive amount of photos from our three years in Sweden. 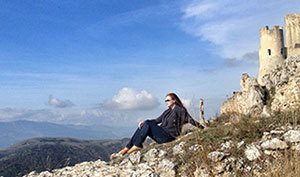 I still have so many stories, and so many places we discovered, which I want to share with you. 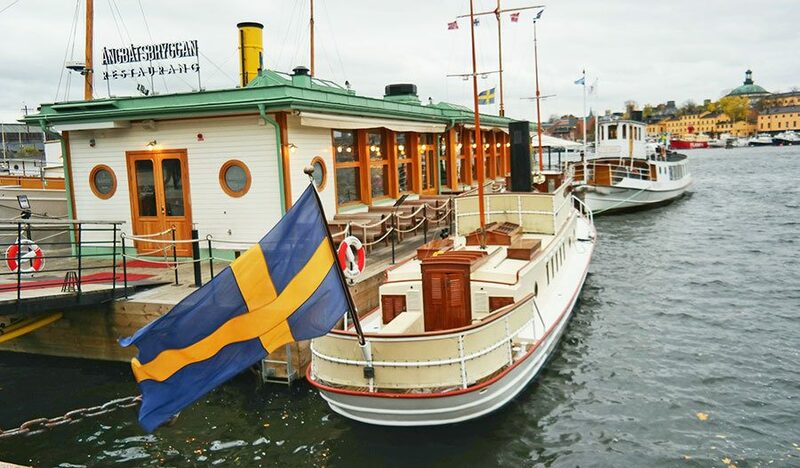 Stockholm archipelago is one of them, and so is this lovely authentic Swedish brunch cruise! The Stockholm archipelago is gorgeous, and if I would get my dream vacation in Sweden, it would be sailing around the archipelago. Stockholm archipelago is the largest archipelago in Sweden with approximately 24,000 islands and islets. It is the the second-largest archipelago in the Baltic Sea (the largest being across the Baltic in Finland). Island after island, and boats leisurely sailing, there is plenty of pretty sights to see. No wonder the archipelago has over 50,000 holiday cottages, many of them gorgeous old mansions, which you can see from the sea. 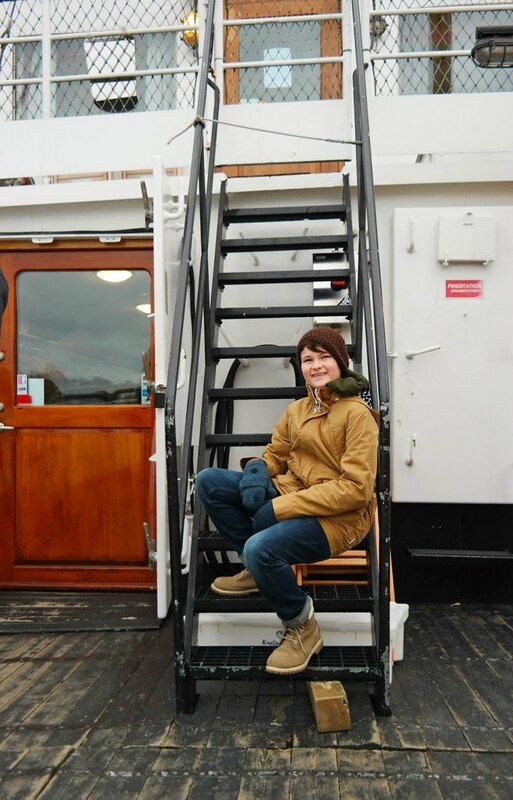 If you can’t get on a private boat to tour Stockholm archipelago, there are several options to experience it. 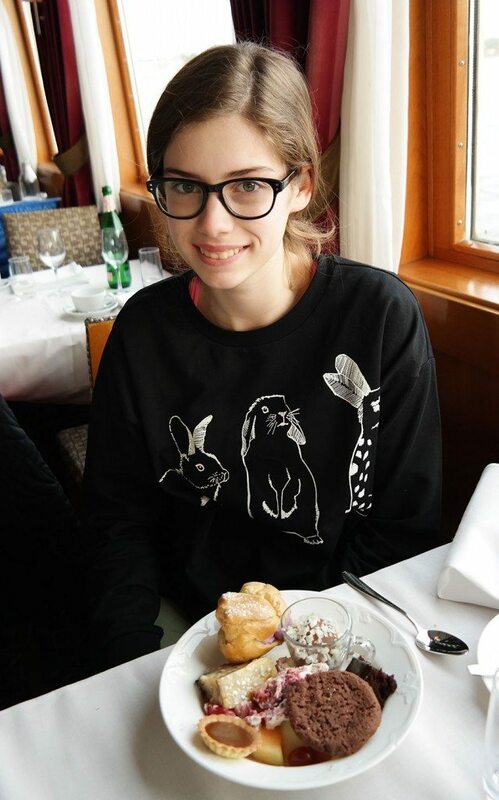 If you want to combine it with a culinary adventure (my favorite kind of adventure), I recommend going on a brunch, lunch or dinner cruise. 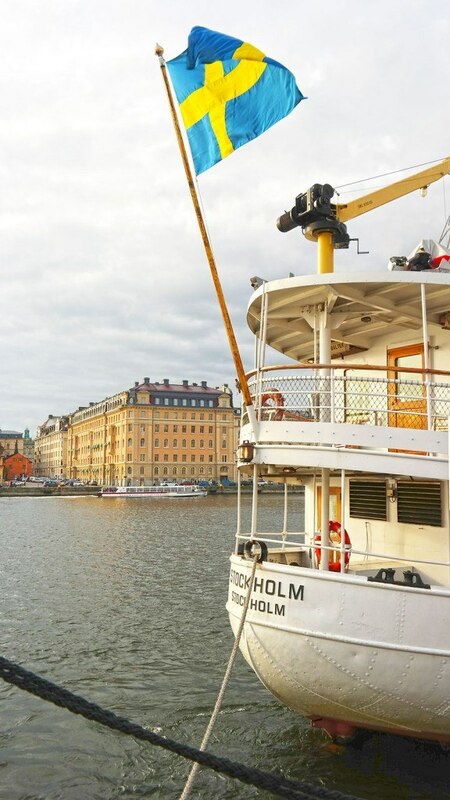 We took a smörgåsbord brunch cruise with S/S Stockholm. 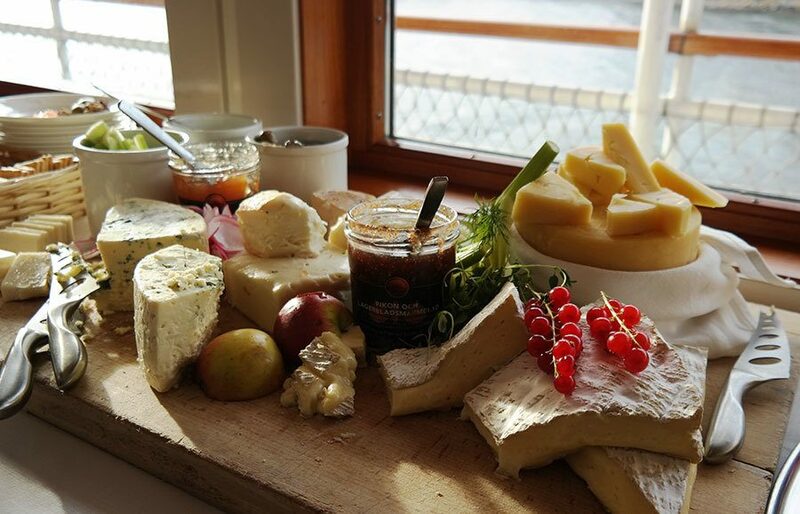 The company offers several brunch, lunch and dinner cruises around the archipelago, and we opted for a three-hour long brunch cruise serving the authentic Swedish smörgåsbord, a buffet with several authentic Swedish dishes. 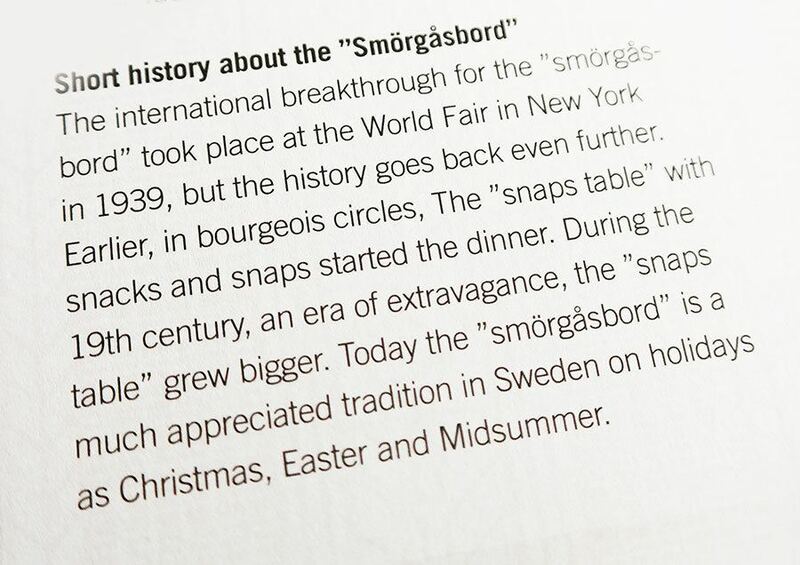 It truly is a very unique Swedish dining experience, and most of the people on board with us were actually locals. If locals love it – you know it is an authentic experience! I have to admit though, I wish I had more pictures of the amazing views of the archipelago, but I was on a family vacation, and I was way more focused on taking pictures of our family and the foods, so instead of giving your a picture tour of Stockholm archipelago, I am giving you a picture tour of very typical fancy Swedish smörgåsbord. 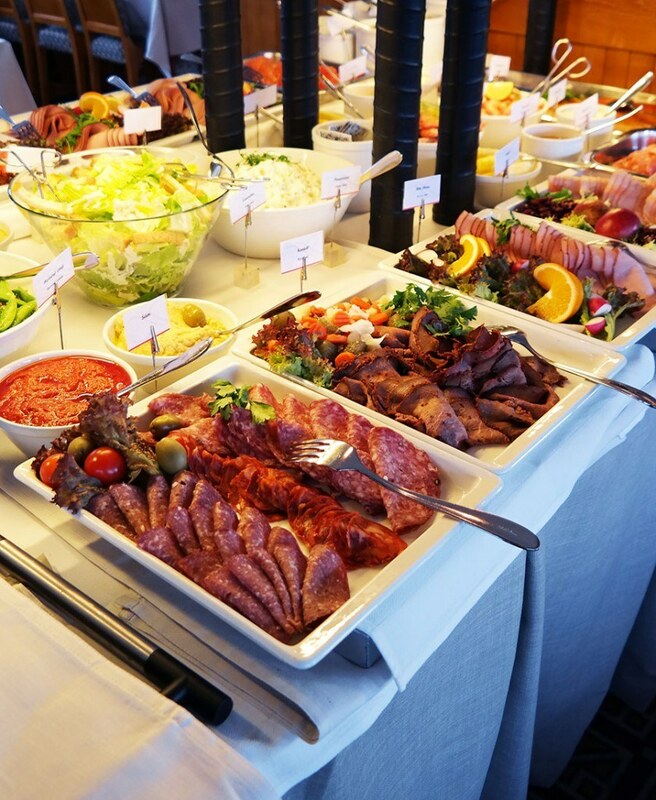 The lunch was served buffet style, like smörgåsbord always is, with several Swedish delicatessen like smoked salmon, prawn and crayfish mélange, Baltic herring, prawns, and of course, Swedish meatballs with lingonberries. 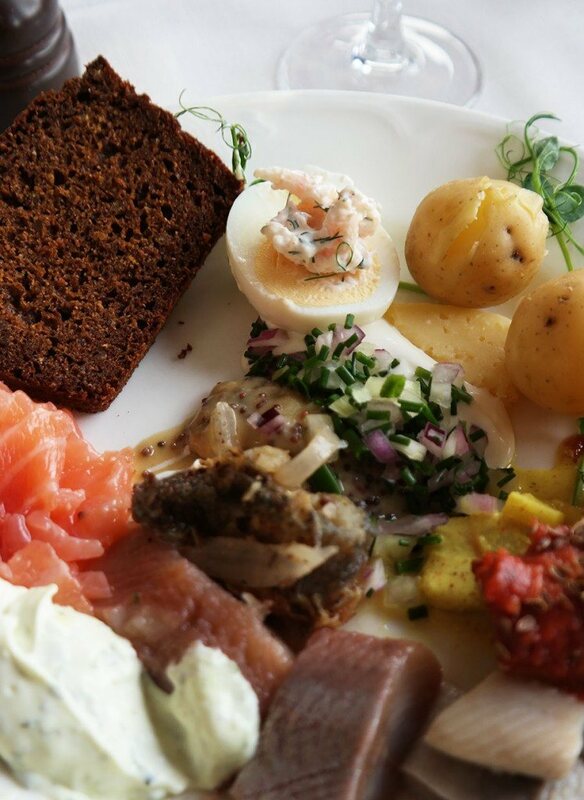 S/S Stockholm had a large selection of the ship’s home pickled herring and Baltic herring, and that was served with sour cream, onions, egg halves and Västerbotten cheese. Some of the herring was pickled raw – and then there is also herring that is first breaded and broiled, and then pickled. Then there was of course prawns. 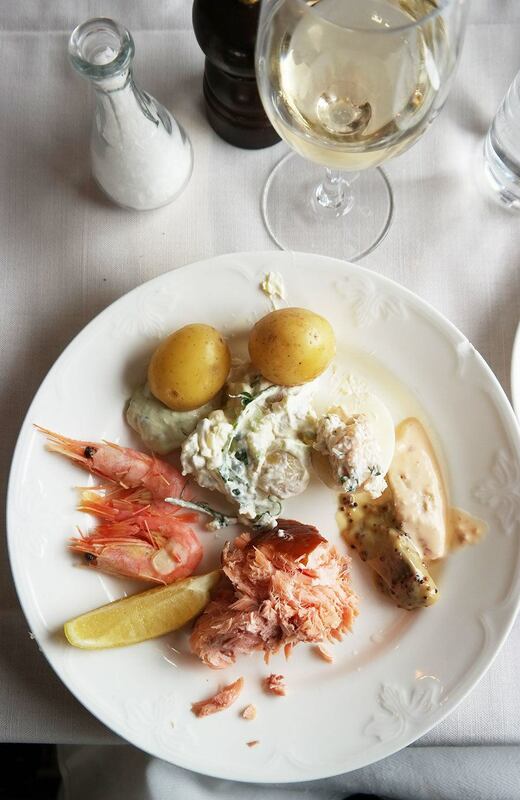 fish pâté, Arctic prawns, accompanied with variety of sauces. 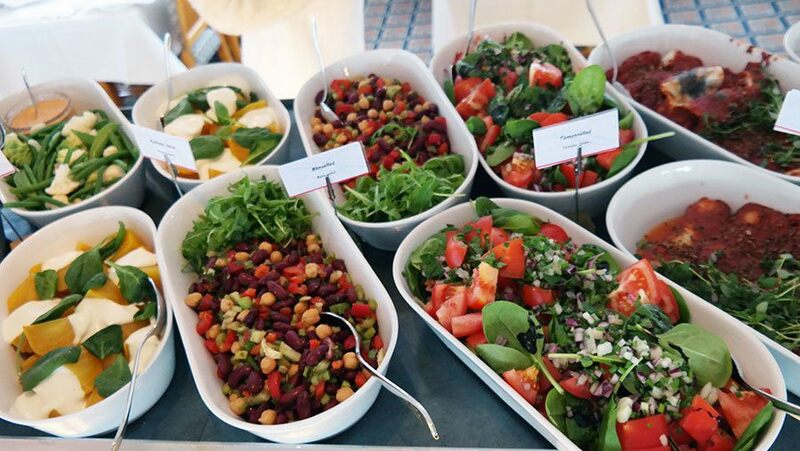 After the fish and shellfish, there was an array of hearty salads. These salads could be a meal on its own! I love the Scandinavian potato salad with sour cream (get the recipe for Finnish potato salad here), and there was also delicious bean salad and cabbage salad, and malted wheat. 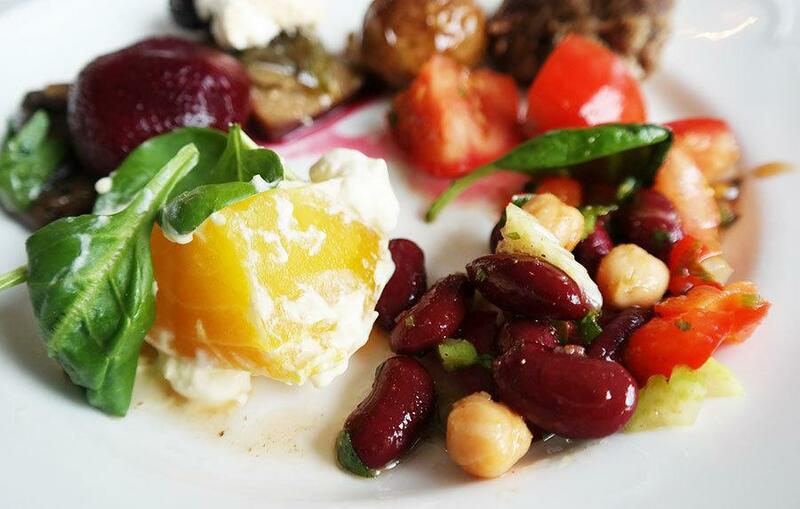 One of my favorites was also the salad with roasted golden beets. And the marinated beets of course are always good. At this point I was in sea food heaven and food coma, and in all honesty I just skipped the cold meats such as salami, ham, roast beef and sausages. It was all there, but I just could not go there anymore. 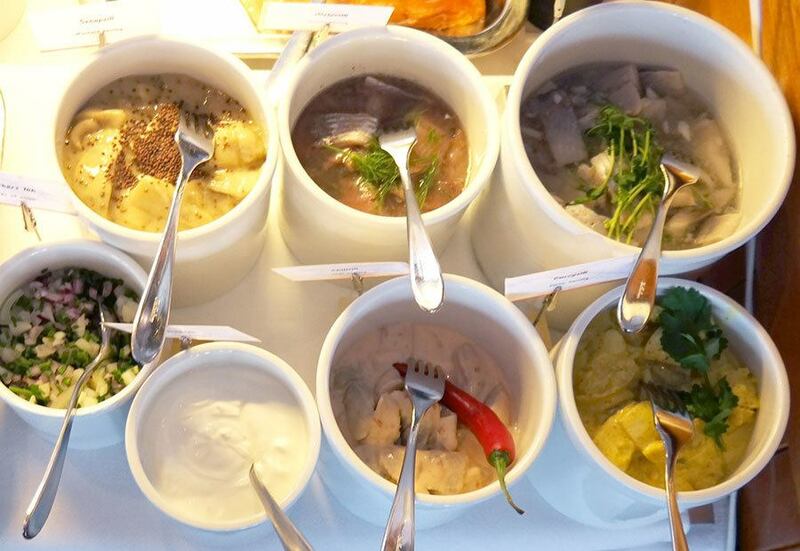 And can you believe it – not even one photo of the MAIN dishes? Yes, I totally skipped the main dishes and focused on my favorite sea food dishes that I knew I would miss dearly after leaving Sweden. 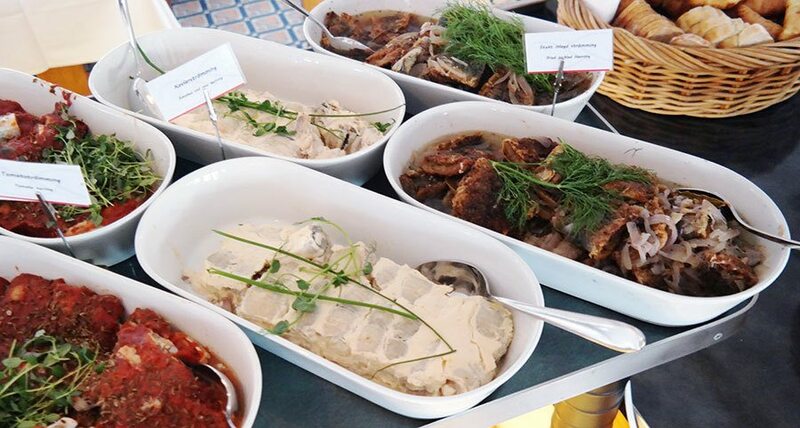 Here is a list of main dishes they serve: Jansson’s Temptation (caserole with potatoes and sardines in cream), Chipolatas, Chicken drumsticks, Feta gratinated vegetables, Meatballs, Ship’s quiche, Hot vegetables, Bacon, Egg special of the day and Boiled potatoes. After taking a break from food (and focusing in wine, the S/S Stockholm had excellent wine selection as well), I was actually able to perk myself up from my food coma to eat again. Because I much rather skip the main course than dessert! Cheese dessert table was set by the window. After the cheese plate we still had to take small bites of the incredible dessert offering. 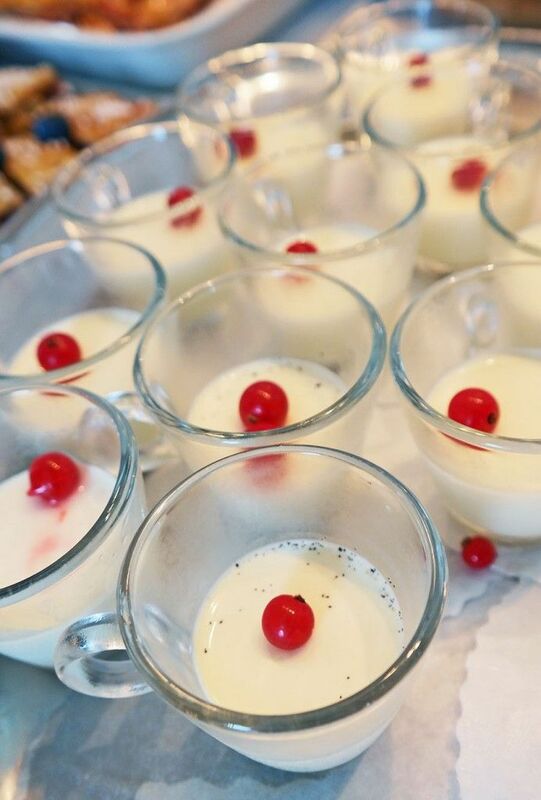 The dessert included pannacotta, fruit salad, Swedish pancake cake, chocolate mousse, ice cream, parfait crème caramel and apple crumble, and several different cookies and pastries. Raspberry panna cotta with liquorice froth was one of my favorites. 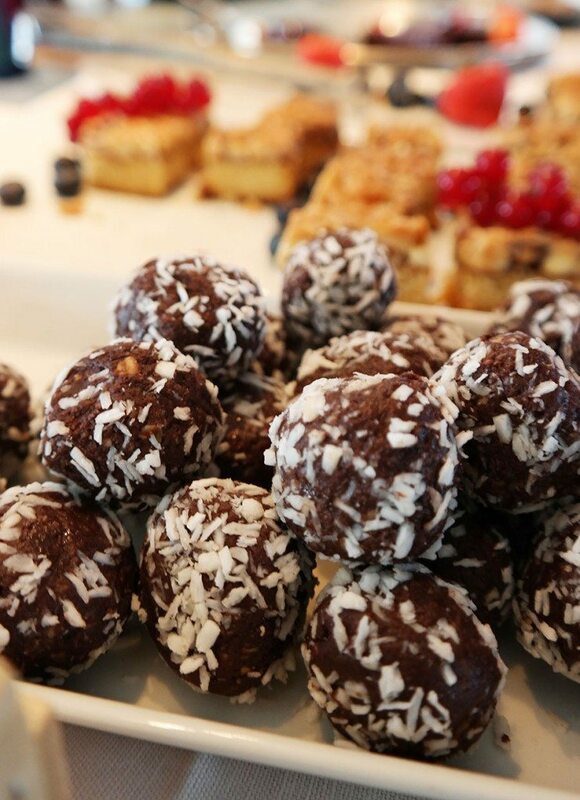 And of course, they also served Swedish chocolate coconut balls (get the chocolate coconut balls recipe here, they are super easy to make at home). 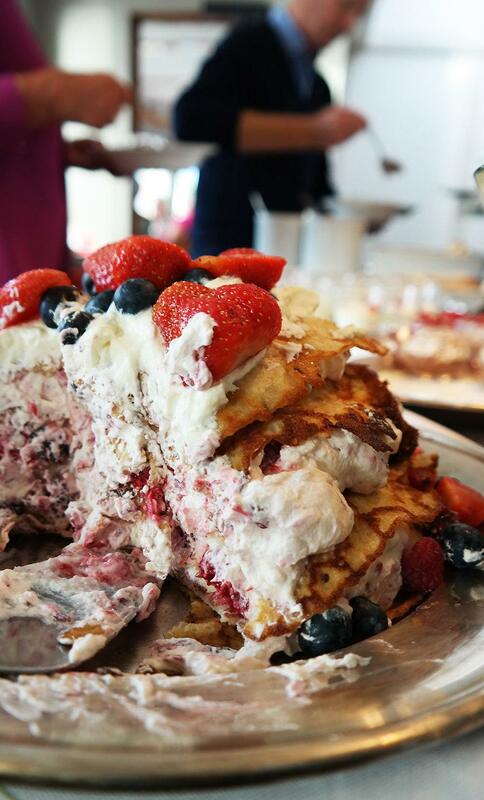 This dessert is Swedish pancakes with whipped creme and berries constructed to a pancake cake. The Swedish pancakes are slightly thicker versions of French crêpes, but not as thick and fluffy as American pancakes. I admit that my photos don’t maybe reflect on the entire menu, and focus more on the more exotic Swedish dishes. If you are wondering if this is a good cruise for younger children, I would say absolutely. 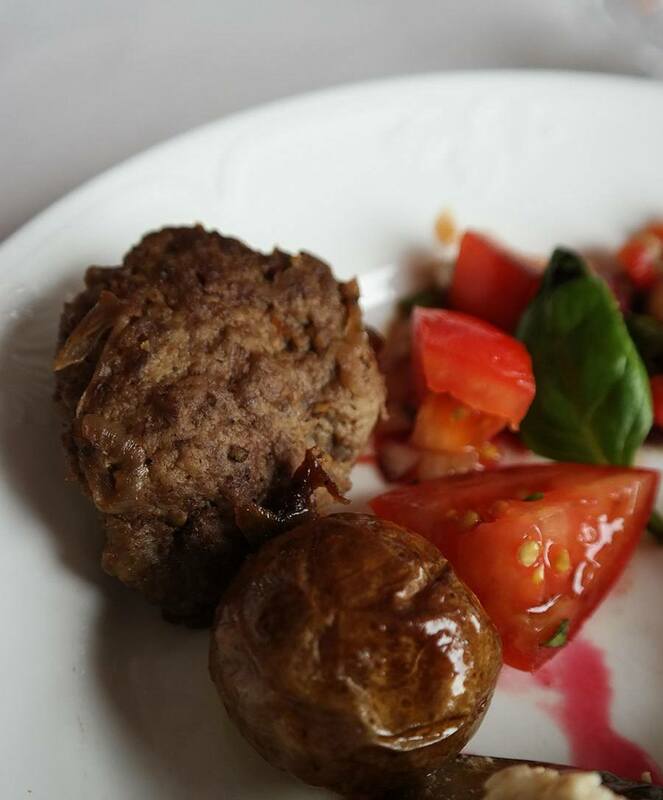 There were many child-friendly dishes to choose from, usually the Swedish meatballs are a kid-favorite. Added bonus: children under 5 travel and eat for free and children 6-11 years old get the buffet cruise half priced. 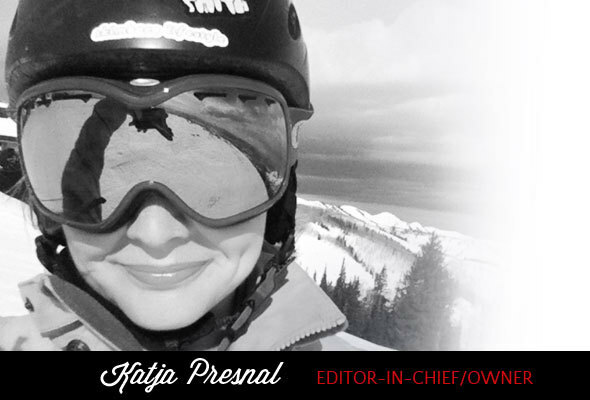 Read more at Stromma.se. The brunch cruise cost 465 SEK/person, it’s around 55 dollars/49 euros per person, kids half the price. 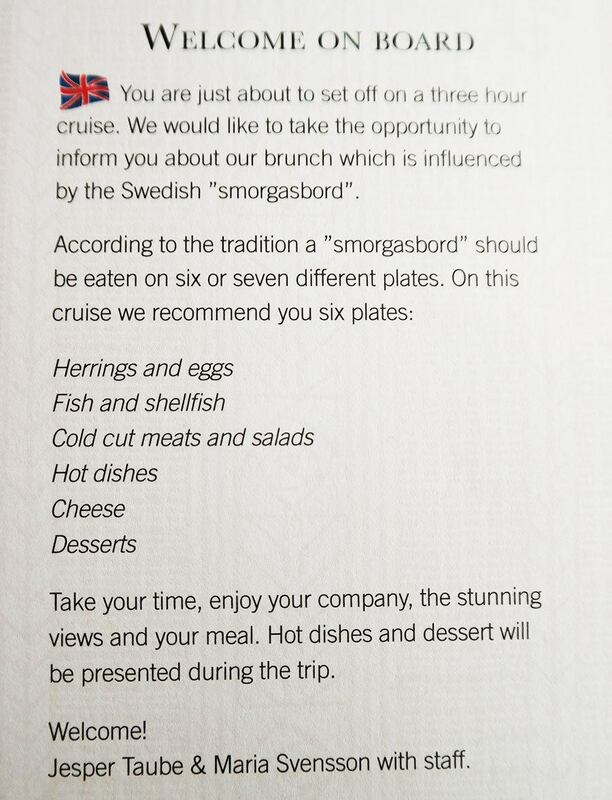 For a three-hour cruise and the quality of the food I think it’s a very good deal in the expensive Stockholm. 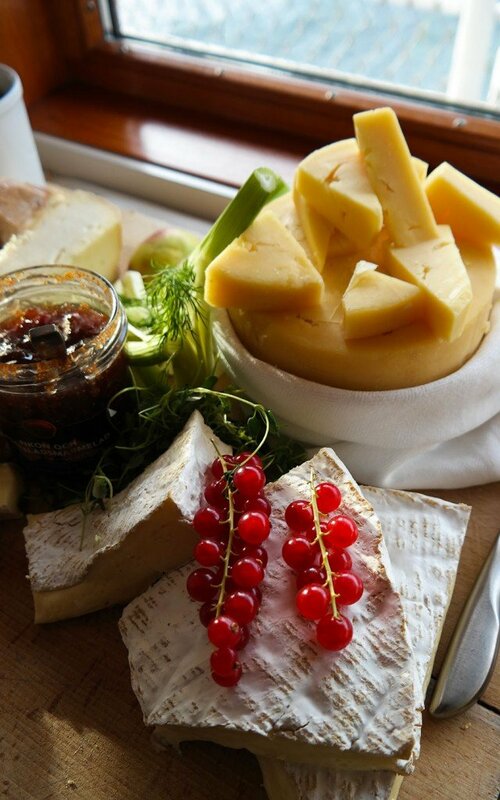 Of course, you can enjoy Swedish foods also on many of the boats and restaurants ashore. 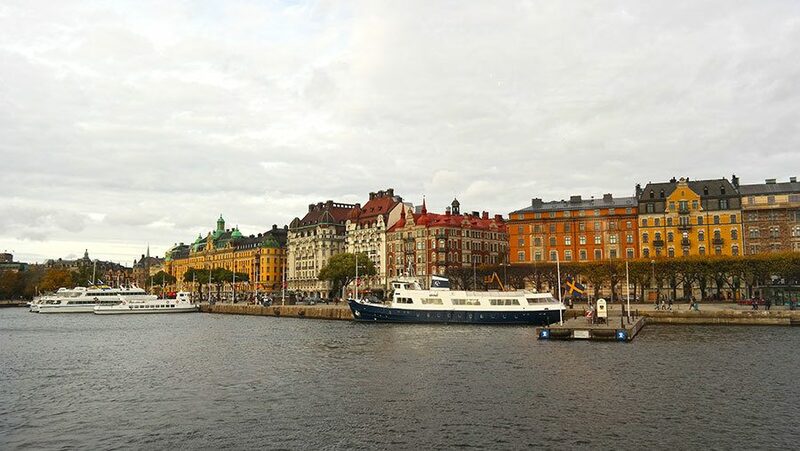 This post is featured in my Findery notemap of my favorite finds in Scandinavia and in my Fliboard magazine about Sweden. You can find more about Sweden on my Pinterest board. Follow Skimbaco Lifestyle’s board Stockholm and Sweden Style on Pinterest. Disclosure: This post was done as part of my partnership with Findery. Join me on Findery and add your travel notes on a notemap! Download the Findery app today!